In Part 1 we discussed homeostasis in animals and compared it to negative feedback loops required to stabilize and sustain performance via Continual Service Improvement systems for optimized service management. Negative feedback loops allow for real-time self-correction in systems and therefore contrary to the name have a very positive effect for the delivery of services throughout the value stream. Ok! If negative feedback loops are positive then what about positive feedback loops and how might those be used for ITSM? What is so positive about positive feedback loops? In a positive feedback loop we see the target set point as a challenge to move away from. We strive to move beyond the set point or perhaps from one stage to another. Positive feedback loops are used when we want something to happen very quickly. We can optimize and exploit with positive feedback loops. Vivid childhood memories make real the lessons of patience as we waited for the fruit to ripen before we could pick it. It was not ripe for so long and then just a few pears, or apples or cherries would begin to turn. All of a sudden POW! The whole tree was ripe! How does that happen? Fruit on a tree is the target set point. Let’s say we want to move from fruit on a tree to fruit that is ripe. 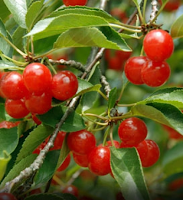 The first cherry on the tree becomes ripe and transmits ethylene that ripens cherries close to it. Those cherries create more ethylene and transmit it to ripen all the cherries close to them. As the ripe cherries increase so does the ethylene causing the cherries to ripen at an increased rate until all cherries on the tree are ripe. What if instead of reacting to Demand, or even managing demand our strategy was to exploit demand? Tying positive feedback loops and systems to our visions, aspires and strategies could change the landscape of service management as you know it today! Positive feedback loops produce the desired outcome at an increased rate! Application of positive feedback loops can be applied to any domain in the value network to optimize for the delivery of services. The only constant for any service provider is change and we know the poison Ivy effect from the loud contentious voices of resistance. Likewise think of the results if we invested in the ethylene of a few to ripen those close to them on the tree! Communication, knowledge and increased capability is your ethylene and can be monitored measured and exploited. If demand is growing at an exponential rate year over year then positive feedback loops in our service management systems can provoke and optimize to control change at the same rate! Not only aligning IT with the business but moving with it through controlled looped systems. With negative and positive feedback loops the entire value stream becomes one organic system. Service management becomes the service provider’s strategic advantage able to live, grow, and dynamically shift for business outcomes and customer value. Loopy Challenge: What are some very real world examples for you and your organization of where or how both negative and positive feedback loops can be leveraged?